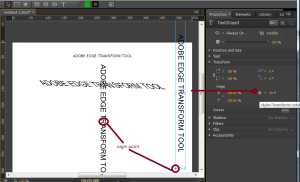 Adobe edge transform tool is used to scale and rotate the selected object. 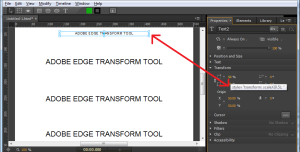 Transform section contains the transform scale(X), scale(Y), skew(X), skew(Y), Orgin (X), Orgin (Y) (midpoint) and final most used one transform rotation by degree. 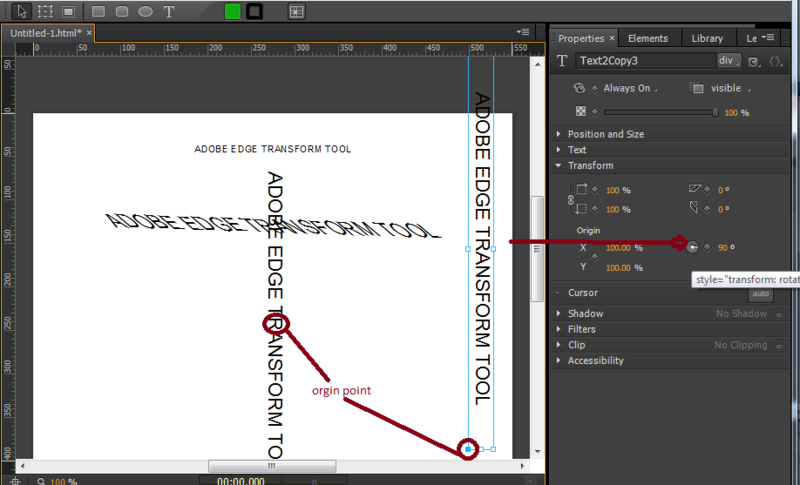 Now we will see example. 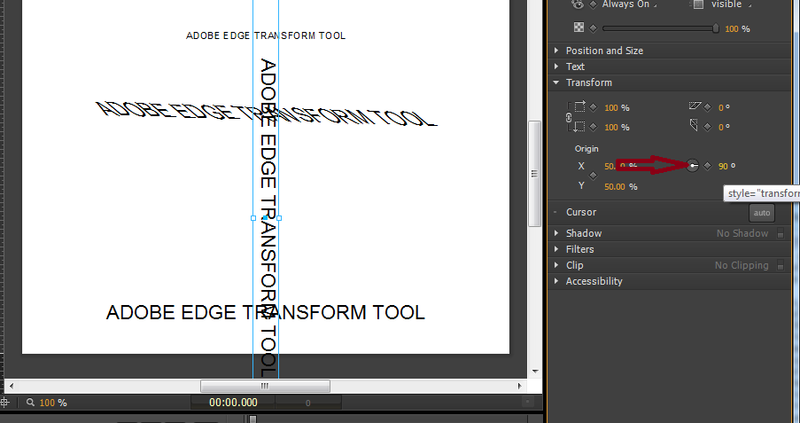 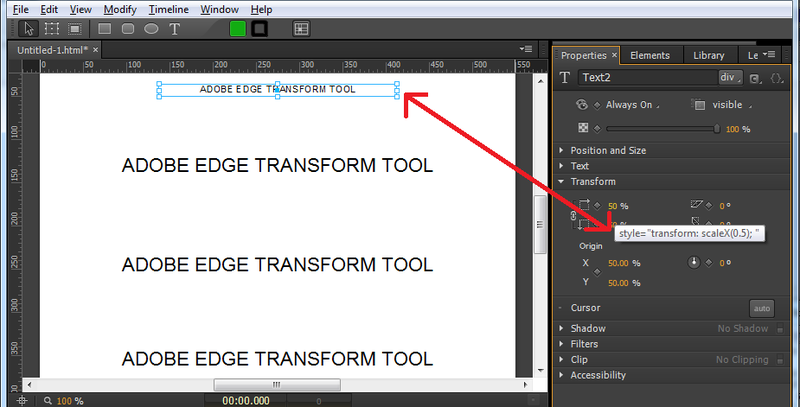 Using one text "ADOBE EDGE TRANSFORM TOOL" I am explaining this tool.